Hi everyone! It’s Svetlana Lisitsyna with you ! I don’t know how you spend a summer, but for me, August is the beginning of preparation for the celebration of Christmas and New year. In the Russian language there is a proverb that says “prepare sleighs in summer”. In English there is an analogy “Make provision for a rainy, day but in good time”, and in my opinion, it accurately describes us – Сraft-ladies. 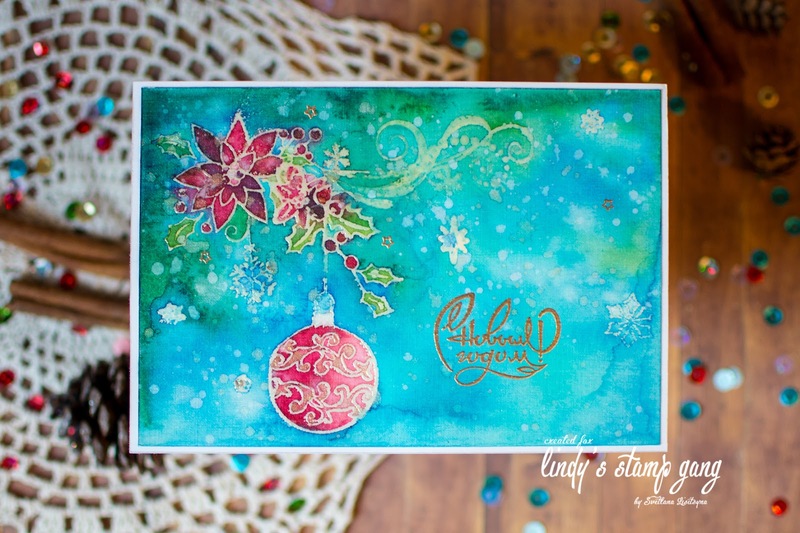 I will show you how using bright summer colors from the August color challenge palette can be used to create a Christmas card. 1. Get the base, stamps, and embossing powder. I used Gold Angel Wings. 2. Stamp and heat powder. *I love this wonderful powder! Radiance and shine! 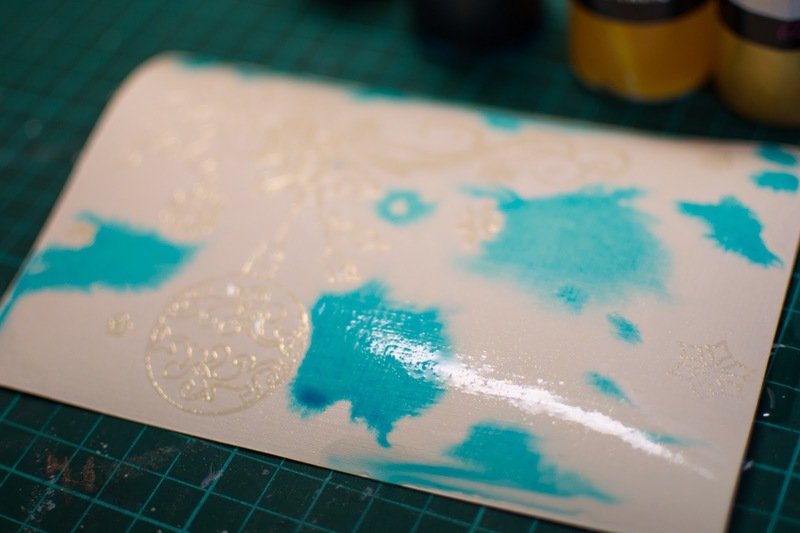 Wonderful card ,the colors look fab with gold embossing .Thanks for the tutorial ! What stamp sets did you use? They are beautiful. I love your card! I love this card! 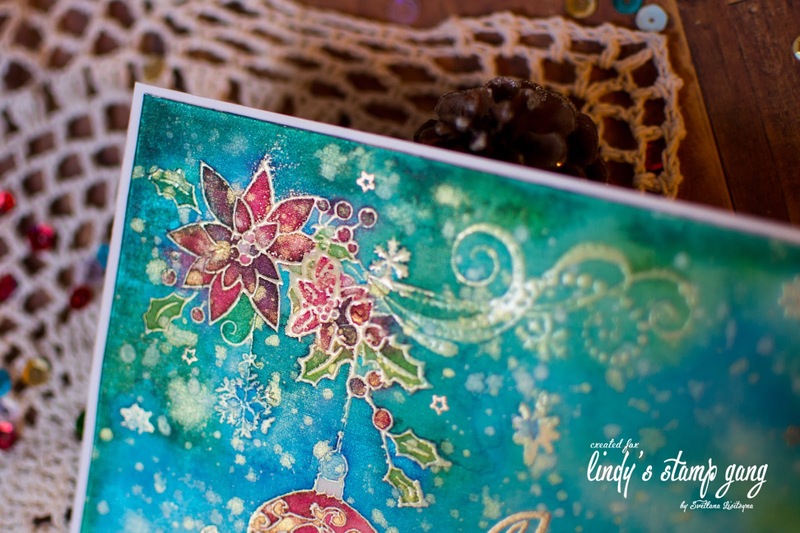 Great idea using these beautiful colors for Christmas cards! Thanks for great blog I really enjoy using my Lindy gang products. love the card.